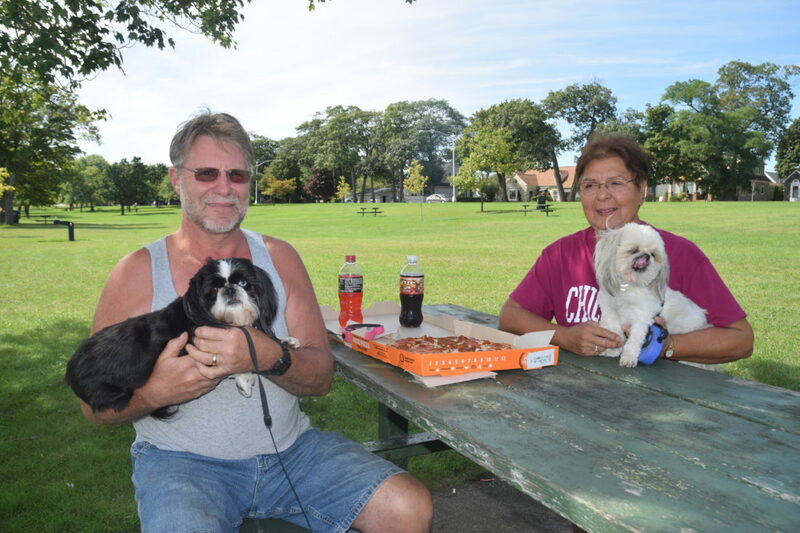 Jordan Beck | Daily Press Mitch Jensen, left, and his wife Susan Jensen hold “Mollie” and “Mike,” respectively, while enjoying a picnic lunch at Ludington Park Friday. According to the National Weather Service, the odds of a warmer-than-average fall in the Escanaba area are looking good this year, but precipitation levels for the coming months have been more difficult to predict. ESCANABA — According to the National Weather Service (NWS), the odds of a warmer-than-average fall in the Escanaba area are looking good this year. However, precipitation levels for the coming months have been more difficult to predict. Currently, the NWS is calling for a 43 percent chance of above-normal temperatures, a 24 percent chance of below-normal temperatures, and a 33 percent chance of near-normal temperatures in and around Escanaba from September through November. “We’re hedging towards a warmer-than-normal fall,” Observation Program Leader for the NWS’ Marquette office Jim Salzwedel said. This prediction is based on data from the Climate Prediction Center. Salzwedel said the NWS is also calling for 33 percent chances of above- and below-normal levels of precipitation this fall, and a 34 percent chance of near-normal precipitation levels. “It’s just kind of equal chances,” he said. While an El Nino may occur this year, Salzwedel said this favors the southwestern United States for higher-than-normal precipitation levels. “For our neck of the woods, there’s no clear signal for the fall there,” he said. Salzwedel also offered a look at weather in the Escanaba area this summer. He said that, based on data collected at the Delta County Airport, local rainfall totals were low for the months of June, July, and August. “There was really only about 9.02 inches at the Escanaba airport,” he said. At the Escanaba Water Plant, 9.56 inches of rainfall were recorded in this time period. These rainfall totals were significantly lower than those seen last year. In 2017, Salzwedel said 19.58 inches of rainfall had been recorded by this time of the year in the Escanaba area. Salzwedel said similarly low rainfall totals have been seen in much of the Upper Peninsula this year. “The east half of Upper Michigan is really three to four inches below average,” he said. Rainfall has been significantly higher than average in the western U.P. in 2018, however. At the Delta County Airport, the average temperature for June 2018 was recorded as 61 degrees, the average temperature for July was recorded as 67 degrees, and the average temperature for August was recorded as 66 degrees. Salzwedel said temperatures in this range are not uncommon for summers in the area. 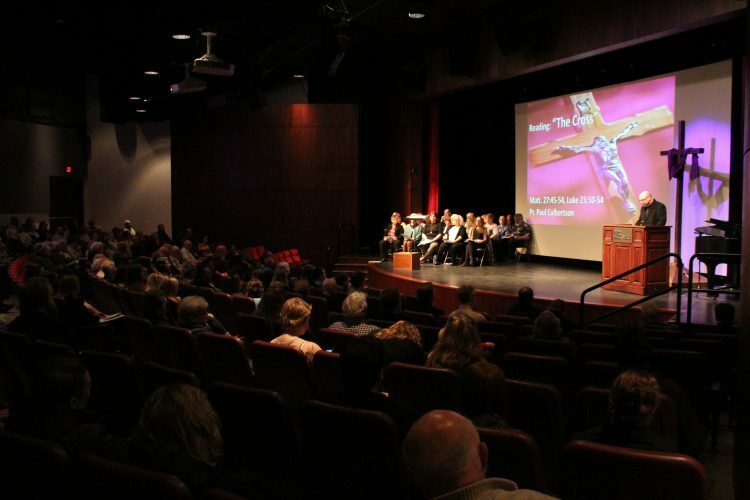 “They’re really not out of the ordinary for Escanaba,” he said. Despite this, the higher-than-average levels of humidity recorded over the past few months may have skewed people’s perceptions of temperatures this summer. “It was a high-humidity summer,” Salzwedel said.